Are you ready to camp at your leisure? If so, then this travel trailer is ideal for you! There is sleeping space for four people in this unit, so you can camp with your kids or even an overnight guest or two. The single slide out opens up the floor space so you won't feel cramped. You'll enjoy a sofa in this model that conveniently converts into a Murphy bed for a good night's rest. 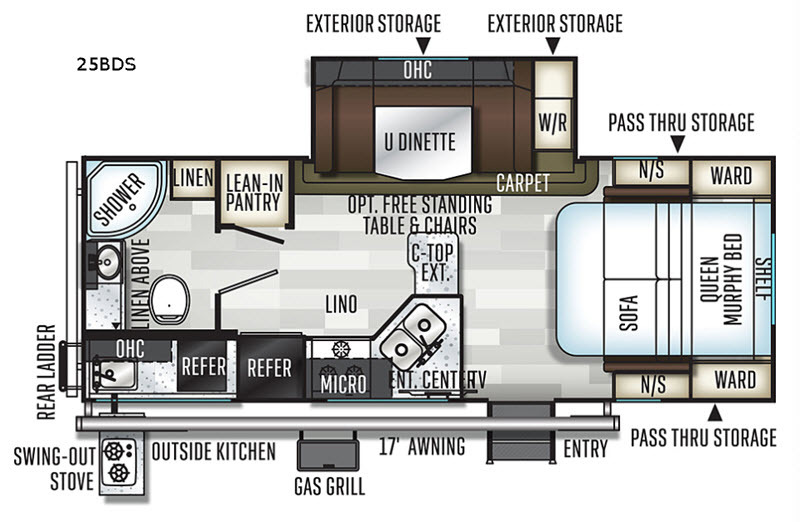 This travel trailer features a kitchen with a three burner cooktop, a countertop extension, and a double sink which makes clean up a breeze. Enjoy the evening air when you cook outdoors using the outside kitchen that includes a two burner cooktop, a sink, and a refrigerator. 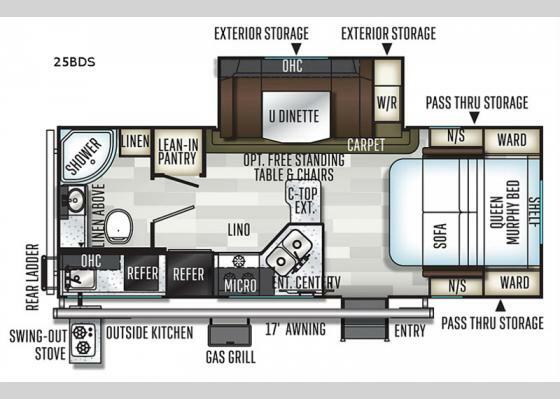 This travel trailer also includes a pass through storage, exterior storage, and a rear bath for added privacy!